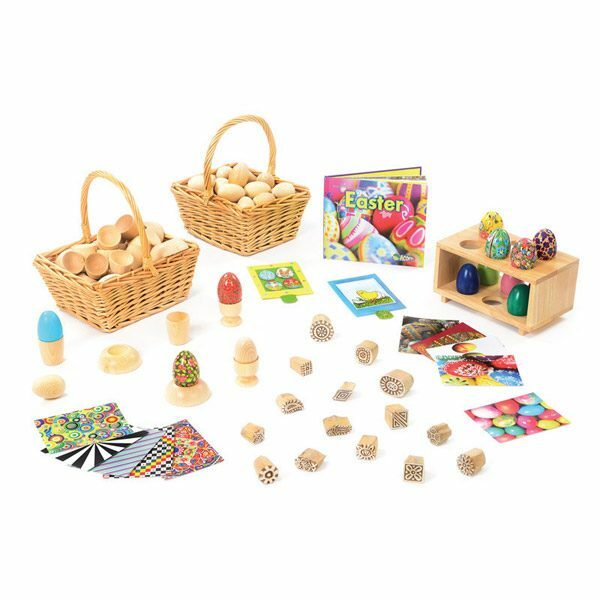 A stunning collection of Easter resources that children will be thrilled to explore as they design, create and explore colour and pattern. 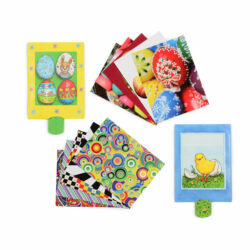 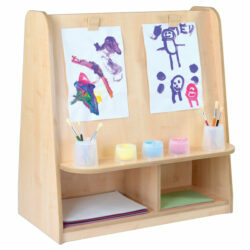 There are patterned postcards, hand painted eggs and wooden stamps to stimulate children’s artistic flair. 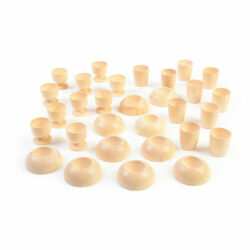 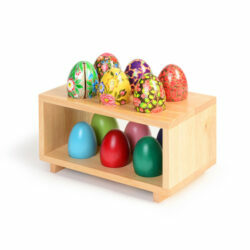 Baskets full of wooden eggs and egg cups enable children to decorate and unleash their imaginative designs and creations.